This article describes how to work with a morph target animation also known as blend shapes in Unigine. Usually, morph targets are used to change facial expressions of characters. The following article shows how to export the mesh with morph targets from Autodesk Maya and then add it to Unigine. It is supposed that you already have a 3D model with blend shapes ready to be exported. It is supposed that you already have a world created. Description of the ObjectMeshSkinned class functions. This section shows the way of exporting meshes with blend shapes in the FBX format from Autodesk Maya. 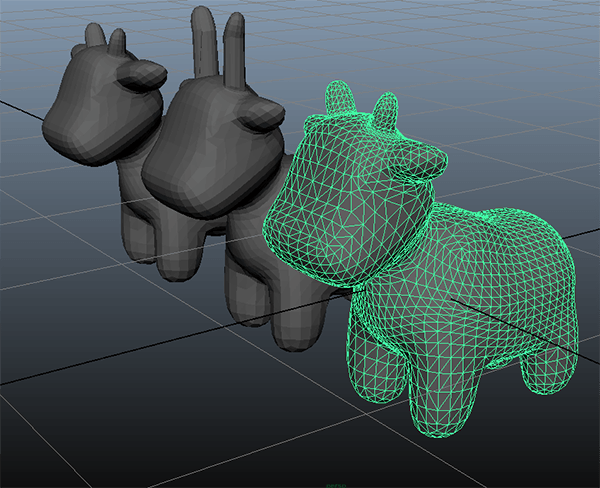 It contains an example mesh of a calf, which has 2 blend shapes (morph targets). In Autodesk Maya, select the mesh with blend shapes to be exported. 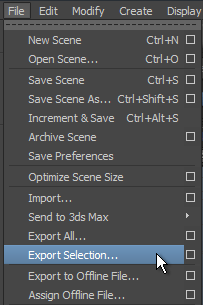 In the Export Selection window, choose a folder to save the mesh and specify a name for the FBX file. In the Files of type drop-down list, choose FBX export. In the File Type Specific Options tab with export options, specify parameters to export the mesh. In the Deformed Models tab, check the Blend Shapes checkbox to export blend shapes. Now you have the mesh in the FBX format that can be easily added to your project. This section shows how to add the exported mesh to the world and set up morph target animation. Import the .fbx file with the Import Morph Targets option enabled. Add the imported file to the scene. The exported mesh was obtained by casting the node that refers to the FBX asset to ObjectMeshSkinned. The node is obtained from the Editor by the name. The setNumTargets() function sets the number of targets for the surface of the mesh. The exported mesh in the example given above has 2 targets (blend shapes). This target is if for the bind pose without any interpolation. These targets are used for interpolation of two animations blending. This target is used for the first animation blending, which uses the sin() function for interpolation. This target is used for the second animation blending, which uses the cos() function for interpolation.